For the first time Zoos Victoria and our Foundation (fundraising and sponsorship) team were recognised by the Australian Fundraising Institute for our very special fundraising campaign leveraging the 150th anniversary of Melbourne Zoo. It was my privilege to head up the ZV Foundation during this highly creative period, a role I still hold. 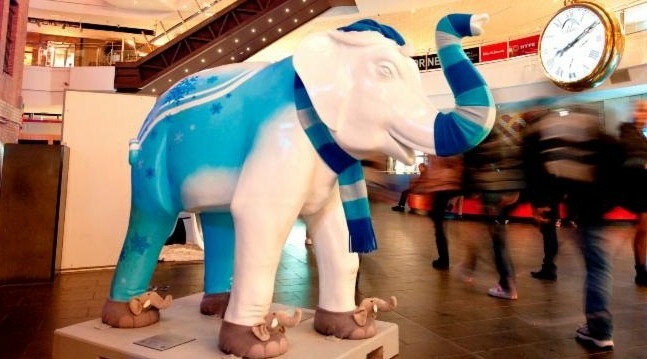 One of the main projects was Mali in the City with 50 sculptures of our very own (then) baby elephant Mali were painted by professional and amateur artists and positioned all around the city. Each sculpture had a paid sponsor for the period of the installation and at the end of the exhibition, all of the sculptures were successfully auctioned off. A wonderful event that brought the Melbourne community back in touch with its fantastic city Zoo. We raised almost AUD $1m with the campaign across our various events and activities for our Victorian and International conservation programmes. And had a great time in the process! 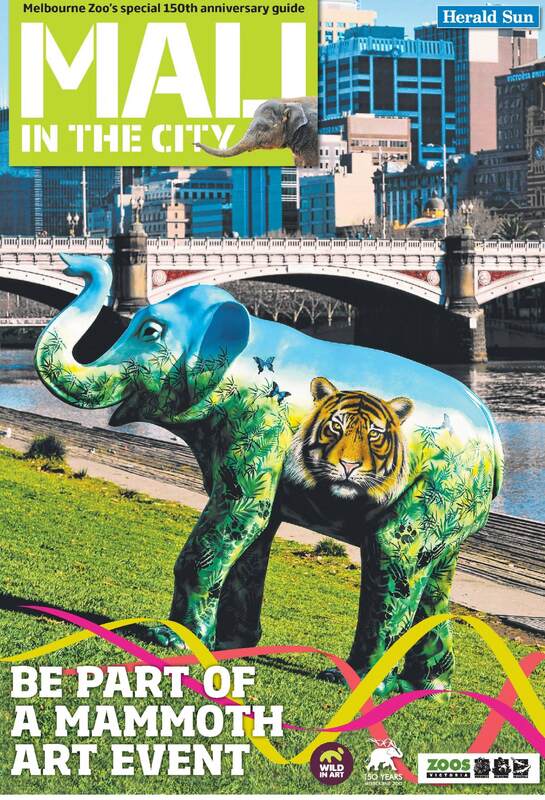 Campaign: Melbourne Zoo’s 150th Anniversary Mali in the City Campaign. What does winning this award mean for your organisation? 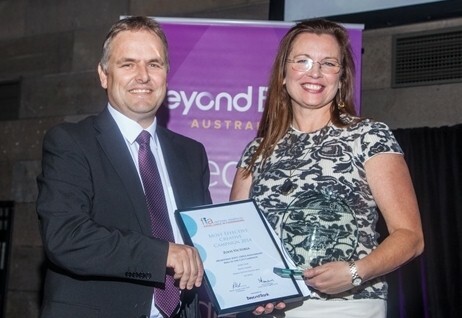 Winning the award meant a great deal for Zoos Victoria, in particular helping to acknowledge the hard work of a team of people that worked on Melbourne Zoo’s 150th Anniversary celebrations. It was also significant as it further demonstrated the love that people all over Australia share for Melbourne Zoo and Zoos Victoria as an organisation but also the love people feel for the charismatic animals that live at our zoos including Mali the Asian Elephant. Being successful in reaching a large number of people with our anniversary celebrations was extremely important for our organisation as it meant many people became engaged in our fighting wildlife extinction work and at the end of the day – this is the most important message. How has it impacted on your work in terms of campaign strategies, staff morale etc? The Award was a huge boost for the many teams involved in Melbourne Zoo’s 150th Anniversary celebrations. It was nice for staff to be publicly recognised for a campaign which touched so many different people. It has also made staff feel proud to be part of an organisation that is fun, has the ability to be bold and, above all, to be part of an organisation that the community clearly values. 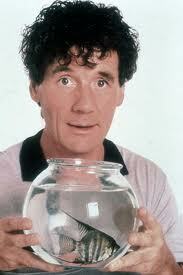 Briefly tell us about the campaign that won you this award? What made this campaign so successful? We won the Award for our 150th Anniversary celebrations which took place in 2012. In particular, we held a public art exhibition called ‘Mali in the City’ which saw 50 life-size artist decorated fibreglass elephant sculptures displayed all over Melbourne’s city streets and later sold at auction with all proceeds donated to Zoos Victoria fighting wildlife extinction efforts. The campaign was extremely successful as the sculptures were modelled on the exact dimensions of Mali the elephant, (at the time) a two year old elephant calf who was the first female elephant calf born in Australia and arguably one of the most popular animals at Melbourne Zoo. The campaign was also extremely unique, it was eye-catching and helped to brighten the wintery streets of Melbourne and it involved a large number of local people from local business to community and high profile artists. Why did you/your organisation decide to submit an entry? We decided to submit an award to help recognise the huge amount of work dedicated to the project by a large number of staff members across many departments of Zoos Victoria and also to help acknowledge the incredibly positive support from the Melbourne community. It was also another avenue to help raise awareness of our fighting extinction work with threatened species within a community that cares about causes. What advice or suggestions can you give to other members considering submitting an awards nomination? The Awards are a great way to celebrate your team’s hard work and successes within the fundraising industry. It was also a good way to benchmark your campaigns against what the rest of the industry is doing. In particularly winning the award had numerous benefits including media opportunities as well as the opportunity to build new relationships at the Awards event. Will you make a charitable donation this Christmas? 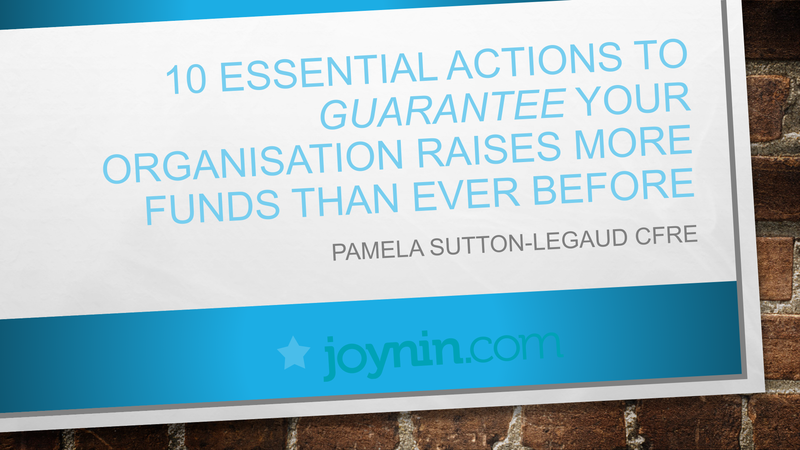 Are you foregoing gifts this year in favour of your favourite cause? Many people will and the trend is increasing. I’d like to think we all probably have more than enough ‘stuff’ and dont need much else so a gift to a charity instead of a new pair of socks sounds like fun! Lots of charities need our support at this time of year in particular.